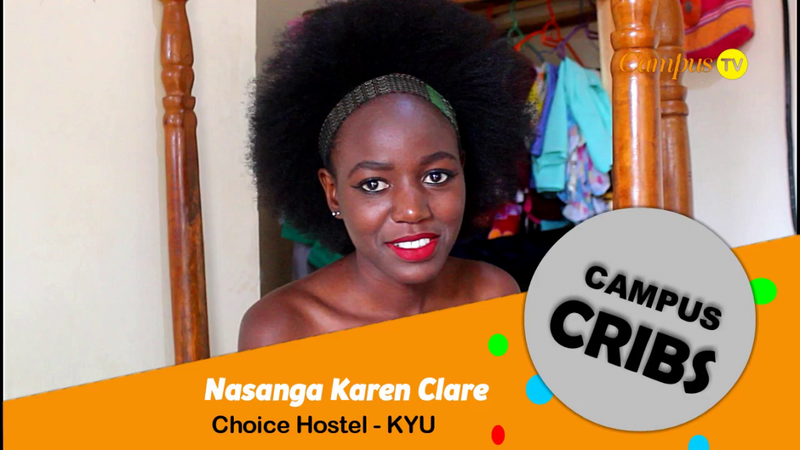 Nasanga Karen Clare is a first year Kyambogo University student currently pursuing a Bachelor’s degree in Procurement and Logistics. Nasanga contested for Miss Kyambogo University in her first semester at Campus, and she managed to secure a slot among the top five beauty queens. Despite failing to win the beauty pageant, Nasanga’s modeling dreams did not come to an end as she was later signed by a company dubbed Ford, which has further helped her to pursue her dreams. The former beauty contestant took us through her crib at Choice Hostel, Banda.